A Unique Lodging Experience Nestled in the Heart of Salem, Massachusetts. The Salem Inn immerses you in the history of Salem while providing all the modern conveniences you’d expect from a boutique hotel including Wi-Fi, complimentary breakfast, fitness center access and free parking. The Inn is also pet and family friendly. Many rooms include working fireplaces and newly renovated whirlpool baths and kitchenettes. The Inn offers 40 guest rooms and suites located in three historic homes. Each room is named for a prominent piece of Salem history and, collectively, they tell the story of this great city. 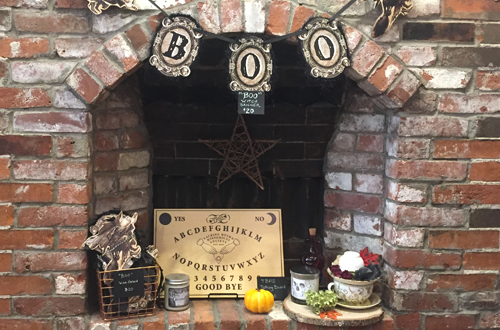 Either directly book the room with the amenities you’d like or take the time to explore the history of Salem and book your unique experience based on the room’s namesake. The West House is the largest of the Inn’s three homes and reflects the fine craftsmanship of the Federal period. It was built in 1834 by Captain Nathaniel West, a prominent figure in Salem’s rich maritime history. Each of the 22 spacious guest rooms and suites in the West House is individually decorated with beautifully restored antiques. The West House is our pet-friendly building. The Salem Inn is the only pet-friendly inn in Salem, Massachusetts. The Curwen House is an Italianate Revival home built in 1854 by James B. Curwen and his brother, Captain Samuel R. Curwen. The brothers are descendants of the Corwin family, who played a key role in the trials of 1692. James and Samuel made their fortune in foreign trade and the shipping business. The brothers and their wives each lived in half of the house. James was the first president of Union Hospital in Salem, a venture he pursued with fellow notable seafarer John Bertram. The Curwen House is an adult-only property. Children and pets are not allowed in the Curwen house but can enjoy the Inn’s other two houses. Each of the 11 guest rooms features restored antiques and private baths. Three deluxe suites feature a queen bed, oversize whirlpool bath and working fireplace. Guests can enjoy a complimentary glass of sherry while contemplating the beautiful trompe l’oeil in the house parlor or enjoy a warm afternoon in the courtyard. The Peabody House was built as a single-family Dutch Colonial home in 1874 by John P. Peabody, a purveyor of ladies’ fine furnishings. His store was located just down the street in the Daniel Lowe & Co. building, which today houses Rockafellas, one of the city’s well-known food and drink establishments. The house has four comfortable and spacious family suites with kitchenettes, as well as two romantic deluxe suites featuring king-size, four-poster beds. All rooms feature newly renovated modern bathrooms with luxury European-style walk-in showers, and most feature working fireplaces. With a comfortable and inviting parlor, the Peabody House is ideal for families, couples and small groups traveling together. The Witch Trials of 1692, an unfortunate but important part of Salem’s past, are infamous, so much so that they often eclipse a much broader and significant role Salem played in Colonial America and the many modern-day attractions that call this city home. Salem was once one of the busiest seaports in the New World. As a hub for foreign trade, the influences of Salem’s maritime past can be found in almost every aspect of the city from architecture to modern-day culture. The U.S. Customs House played a significant role not only in the city’s maritime past but also as the employer of a young Nathaniel Hawthorne whose The Scarlet Letter and The House of the Seven Gables are among America’s richest literary treasures. Explore the region’s rich culture and history alongside exhibits from across the world at the Peabody Essex Museum, stroll amongst the brilliant architecture on Chestnut Street or experience the city’s many fine shops, eateries and craft breweries. 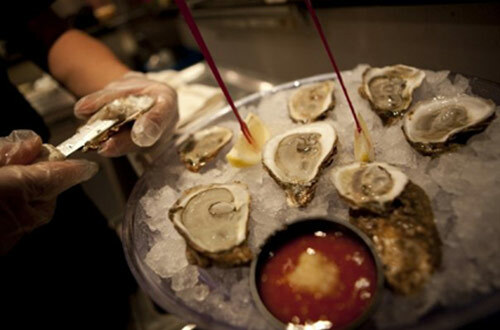 From traditional New England seafood to gourmet hot dogs, from hand-crafted pizza to intimate Italian dining, from lobster rolls to sushi and craft beer to cider, whether you’re looking to grab something on the go or enjoy fine dining before a night on the town, you’ll find it all and more in downtown Salem. 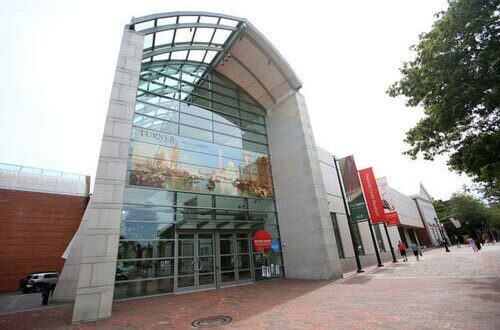 Salem is proud to be home to the award-winning, world-renowned Peabody Essex Museum, hosting permanent exhibits and traveling exhibitions from around the globe. In addition, we boast numerous specialty museums with ties to Salem’s past including the famous 1692 Salem witch trials, pirates and privateers. By foot, by trolley or boat there’s something for everyone. Sunset harbor cruises are the perfect start to a romantic getaway while daytime cruises with onboard aquariums are always a win with the kids. 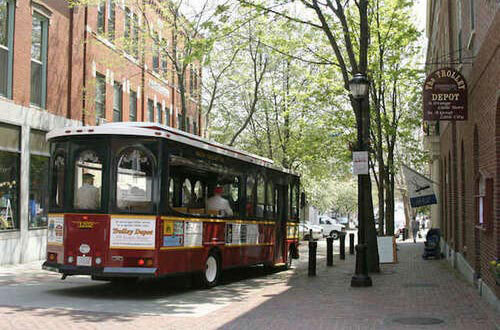 Trolleys offer a convenient way to take in the city’s architecture, cultural and culinary hotspots. Salem has become a worthy shopping destination in any season. Our quaint, bustling downtown and pedestrian mall are a shopping paradise. From green grocers to vintage clothing stores and chic shops to wine and cheese shops, it’s all right here.